In a recent post, I foolishly promised to get up at 5am every morning to work on personal projects and to write more blog posts. Dear reader, do you really need to ask how many times over the last two weeks I have welcomed daybreak by typing away on my laptop? Yeah, that's right, not once. This won’t be a surprise to anyone who knows me- I’m just not an early riser. However, I am still committed to spending more time on my personal projects. So over the past week, I have tried to use Launchy, the open-source program launcher, as much as possible to automate the routines actions that I repeat daily, and that just eat up mouse clicks and keystrokes. One common action that I do often in work is to use Outlook to setup calendar appointments (shared with my Google Calendar using the Google Calendar Sync), and to send myself email reminders. 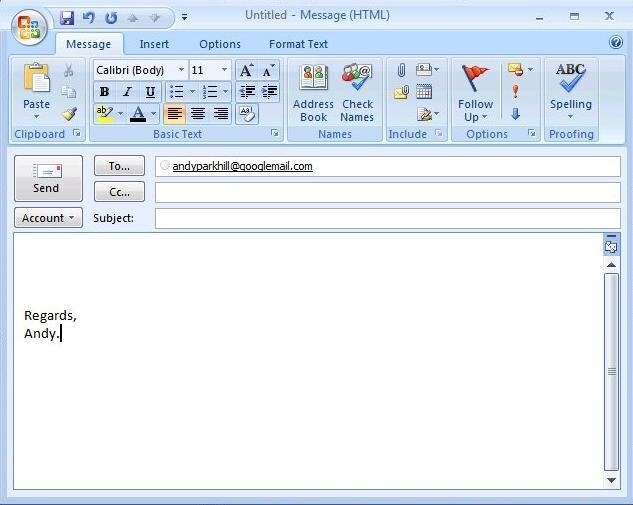 I then wanted to extend this to create new email messages to be sent to specific email addresses, i.e. my own webmail account. To do this, you simply change the arguments to be ‘/c ipm.note /m <insert email address>’. Similarly, the argument to create a new appointment is ‘/c ipm.appointment’. So, by simply typing ‘Email-Reminder’ into the Launchy window, I can create a new mail message to send to myself. Expect a number of other posts in the near future around scripting and productivity.